(Left 130 cm, right 160 cm). 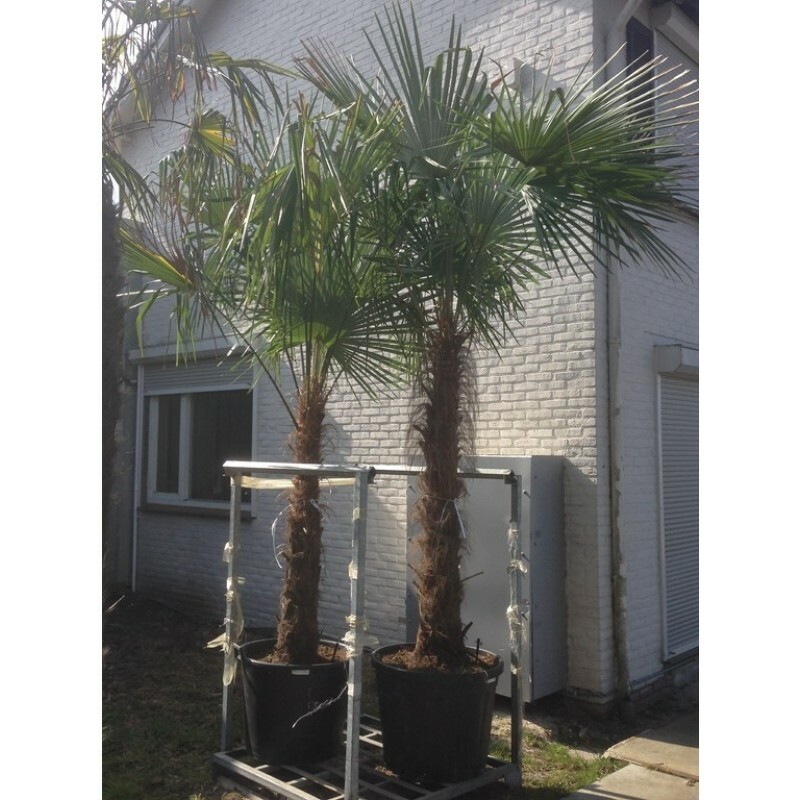 A wild occurring Trachycarpus growing near to Trachycarpus princeps in China. Botanically very close to fortunei. Probably the fastest growing of the Trachycarpus family, resembling Trachycarpus martianus when larger. Seems slightly less cold hardy than fortunei, but recovers extremely rapidly.